Billy Casper Golf is very excited to start management of Walkabout Golf Club in Mims, Fla., just about 45 minutes northeast of Orlando. 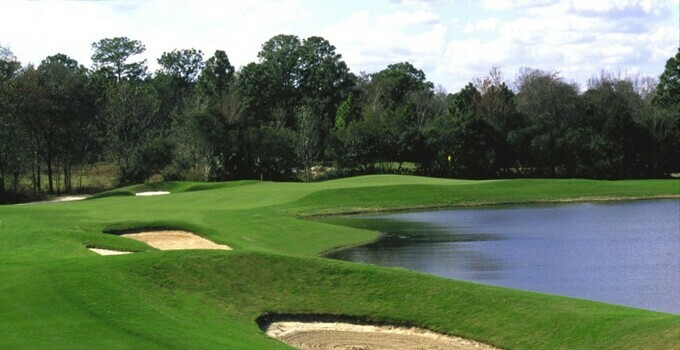 Not only is the 18-hole course designed by Perry Dye and LPGA winner Jan Stephenson a fun-but-challenging play, but it also offers a unique 19th hole. The 19th hole at Walkabout is just a little 75-yard par 3, but its green has a unique design. Stephenson designed the green in the shape of her home country-slash-continent of Australia. It's a fun homage to Stephenson's home and a great place to be able to work on your short game before or after a round at Walkabout.